With your help we are able to support countless charitable causes in Door County. Since our founding in 1999, the Community Foundation has distributed more than $17 million to worthy charities – and as we grow, so too does the Community Foundation’s ability to sustain and enhance our quality of life in Door County. Collectively, the Family of Funds at the Community Foundation now distribute about half a million dollars each year. Listed below is just a small sampling of the many organizations that have received support from the Community Impact Funds of the Community Foundation over the last few years. The most recent grants awarded by the Community Foundation are announced in press releases and our monthly e-news updates. For rural communities like Door County, a traditional fixed-route bus system is simply not an option with so few riders. Door-Tran was created as a cost-efficient way of bringing public transportation to our community. The Community Foundation’s Health & Human Needs Fund provided a grant to help allow Door-Tran to offer half-price rides to Door County’s lowest income residents and those with special needs. For families struggling to make ends meet, the new school year can be a tremendous financial drain. Altrusa’s Back to School Store and their team of “red-shirt” volunteers are there to help. Thanks in part to the Community Foundation’s Children & Youth Fund, nearly 400 children “shopped” for school supplies, backpacks, clothes and shoes at no cost to their low income families. The Arts Fund provided a grant to support next season’s Harmony by the Bay in Sturgeon Bay. Families come together to enjoy national performing artists in these free concerts in the park. It’s a wonderful way for people of all ages to enjoy a lazy summer evening on the water in beautiful Door County. With the help of the Health and Human Needs Fund, the Door County Medical Center Dental Clinic continues to provide services to low-income children and adults of Door and Kewaunee Counties. The clinic services more than 4,000 individuals annually, providing cleanings, exams, fillings, extractions, root canals and more to those who are unable to see a dentist. The Community’s Garden is a new charity which connects Door County residents with nature and horticulture. The Garden launched its first growing season in 2011 as families came together to plant vegetables on their own plots. The Green Fund of Door County is pleased to support the work of the Garden. 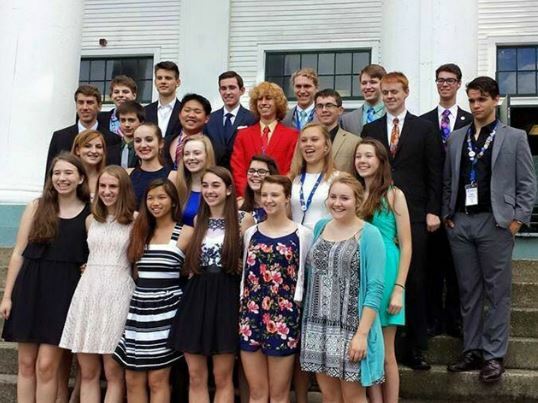 The Door County YMCA’s Youth in Government program brings the workings of state government alive to students. 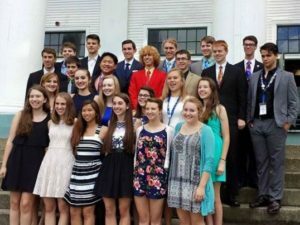 The Community Foundation’s Children & Youth Fund provided a grant to help foster an opportunity for students to discuss current state issues with state administrators, elected officials and students from high schools and other YMCA’s throughout the state. The Community Foundation’s Arts Fund has long been a supporter of Peninsula Players “Big Read,” which has now become the Door County Library’s “Door County Reads.” It’s a month-long county-wide effort to bring people together using the visual and performing arts in an exploration of the classics of American literature. The Ridges Sanctuary is able to offer its Naturalist Program because of a grant from the Green Fund of Door County. The program offers classroom and outdoor training to students of all ages and is creating the next generation of environmental stewards for Door County. The Clearing Folk School’s winter program provides an opportunity for Door County residents to learn from one another in classes offered throughout the County. The Community Foundation’s Education Fund awarded a grant to keep the Winter program’s fees to a minimum. Summer is a time for fun and enjoyment, but too often our children forget the lessons of the school year. The Community Foundation’s Education Fund supported the Holding Academic Gains project of the Boys & Girls Club of Door County. These short bursts of math and reading instruction in the middle of a day of fun help students retain their knowledge through the summer. With the support of the Community Foundation’s Health and Human Needs Fund, the Door County Memorial Hospital, Whispering Pines and Neighbor-to-Neighbor make medical equipment and peer companions available to individuals experiencing problems arising from conditions or limitations that lead to a deterioration of their quality of life. Financial literacy is absent from most school curricula so it’s not surprising that a majority of adults have limited financial knowledge. The Community Foundation’s Children & Youth Fund provided a grant to help FISC offer financial literacy programs to young people in Door County. Thanks in part to a grant from the Community Foundation’s Education Fund, the Great Lakes Ecosystem Display was created at Crossroads at Big Creek. It is a comprehensive educational exhibit that demonstrates the diverse ecosystem that surrounds the Door County peninsula. Each August, the Washington Island Music Festival brings a collection world class musicians to the Island. In addition to the many chamber music concerts, the Festival offers open rehearsals, community lectures, and numerous children’s programs. The Community Foundation’s Arts Fund was honored to support the 2011 Music Festival.